L’Oréal has launched new True Match super-blendable foundation replacing the old True match foundation. A lot of big Youtubers and celebrities are faces of this foundation. 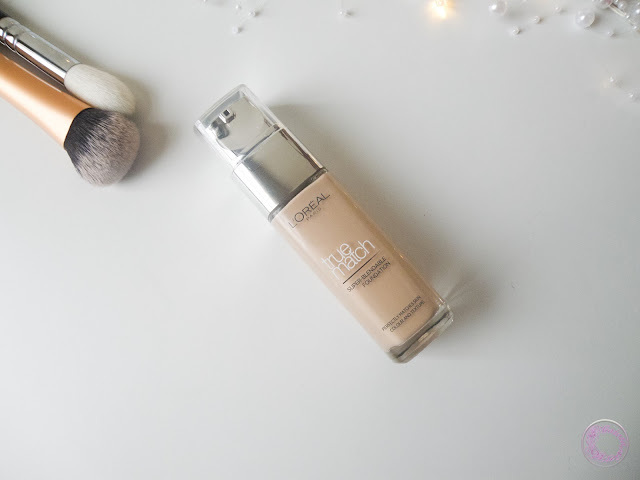 L’Oréal foundations are some of the best on high street in my opinion. My personal favourite is Infallible foundation which is my every day and any day foundation. I used the old True Match foundation long time ago and all I remember is that I loved it a lot in combination with True Match face powder. I don’t have it right now so I can’t do a comparison of both the formulas. Thus I will be relying heavily on my memory only. Let’s see how is the new True Match different than the old one? The first obvious difference is a bottle. New bottle is made of glass like the previous one but is sleeker and modernise. It has a nice big pump. Although pump is not very high quality and slightly stuck after every pump but it can be easily ignored. Other big difference is the actual foundation itself. 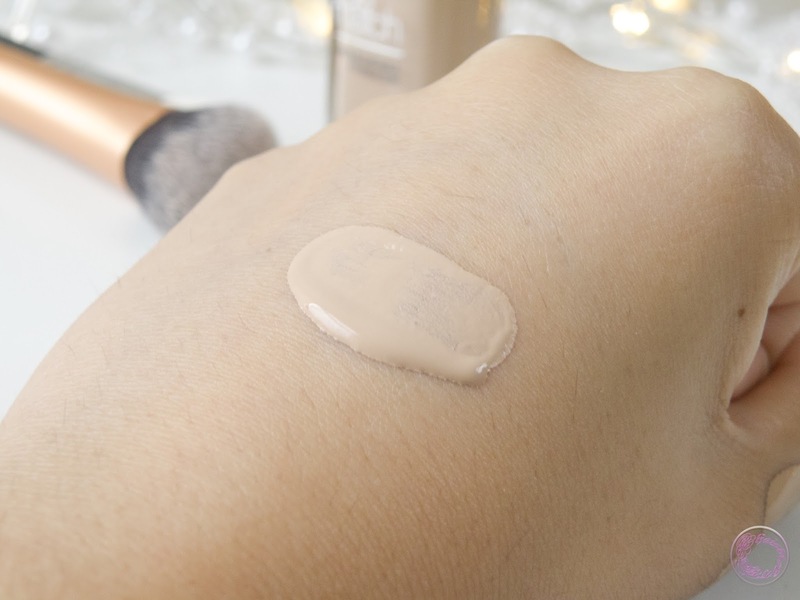 The previous True match foundation was slightly thicker and creamy while the new improved version is thinner and runny in texture. It has SPF 17 as well. The shade selection is great as usual. There are 23 shades from very pale shade to very deep. And this is the quality which stands out it from rest of the high street brands. As this being said, I have very divided opinion about new True Match foundation. I got the shade 2.C rose vanilla which is a cool tone shade with pink undertone. I usually go for pink undertone foundations; they work well with my skin. But this is a wee bit pink for my liking and if I would go a shade darker, it would be very dull shade. Perhaps 1.5 linen would suite me better. One thing which is rather odd about it, is the purplish, bluish holographic shimmer in C shades and golden shimmer in W shades. It is very fine and is undetectable on skin. I didn’t notice it in the previous formula. I am assuming, this shimmer is giving the foundation luminosity. However, in cool shades it is not super flattering on skin. True Match foundation feels very light on skin. It blends easily and gives a solid medium coverage. It doesn’t set instantly on face which gives me plenty of time to build it up where I desire slightly more coverage. 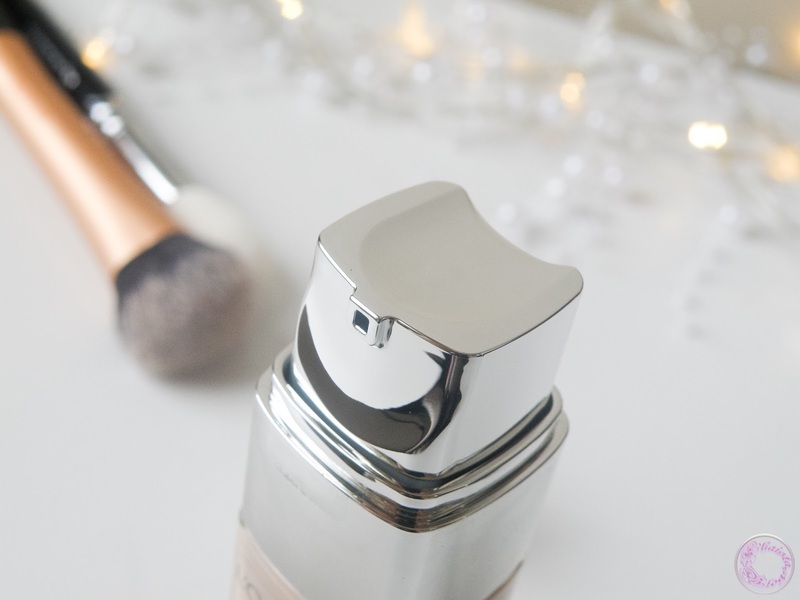 The finish of foundation is dewy and natural looking. 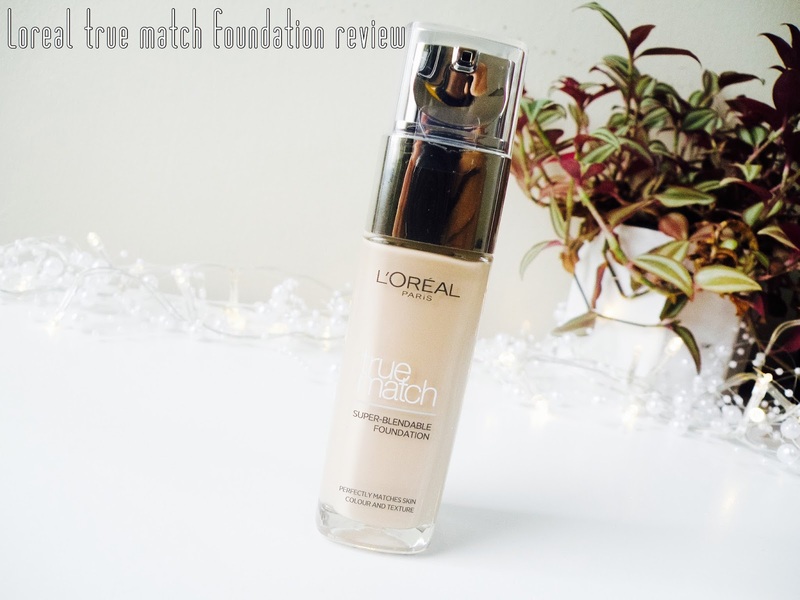 It is not matte by any means but it doesn’t make my skin oily or excessively shiny and that is what I really like about the True Match foundation. it has decent staying power when set with powder. The application was very enjoyable experience but then it went straight down the hill from there. Once I applied it on my face with L’Oréal Infallible primer underneath, I noticed that it settled in pores and couldn’t blend the foundation around it. It doesn’t settle in fine lines under the eyes but definitely accentuates them. Every time after applying True Match foundation, I feel like my skin needs a good scrub. It brings out texture on skin which is very disturbing. It makes me hate my skin. Another drawback is, it’s not being transfer-proof. It remains wet and feels tacky for good two to three hours and can comes off with even light touch. It needs a good setting powder to set before adding any other powder product on top, otherwise all other powder products like blush and bronzer etc. will be blotchy. I am still trying to make it work for me but I am not very hopeful. I will only recommend it to them, who are in their teens or twenties with combination to normal and absolutely perfect skin. If you are struggling with any texture or dry patches on face, I will say stay away from it. It is available on Boots website for £10. Sorry to hear that it did not work for you and your skin. I use a true match foundation but Max Factor and it is the closest colour I have found to my actual skin colour yet! I used this before and I didn't think much of it, it did seem to cling to the dry patches of skin on my face. I also had high hope for this foundation but it moves a lot while blending and can get streaky. I think that is True Match Lumi which is possible dupe for GA silk. I wonder if there is a shade for me. I will look it up. It has a good range of shades in comparison to any other highstreet brand.